The Department of Economics invites applications for a position at the Assistant Professor (tenure-track) level in International Economics. The Department has a preference for candidates with expertise in one of the concentrations of the existing faculty and PhD program: International Finance, International Trade, Development, Macroeconomics, Experimental Economics, and Applied Microeconomics. 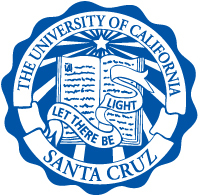 Please visit http://apo.ucsc.edu/academic_employment/jobs/JPF00061-14.pdf for a full job description and application instructions. To ensure full consideration, applications must be complete and received by Monday, December 2, 2013.